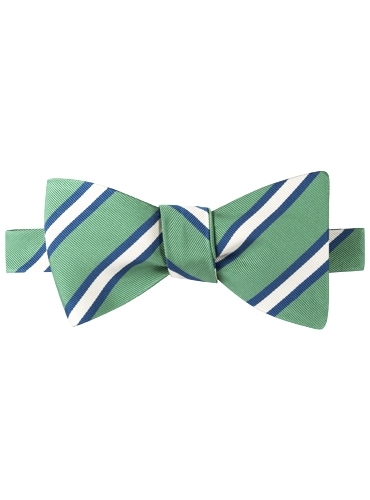 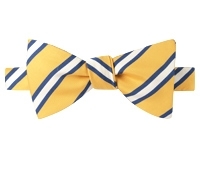 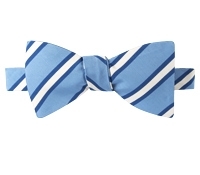 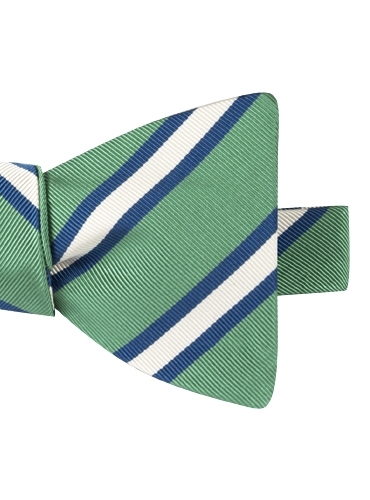 Mogador silk striped bow ties, entirely hand sewn, in five ground colors, each with a contrasting white stripe surrounded by navy narrow stripes, shown here in D-grass. 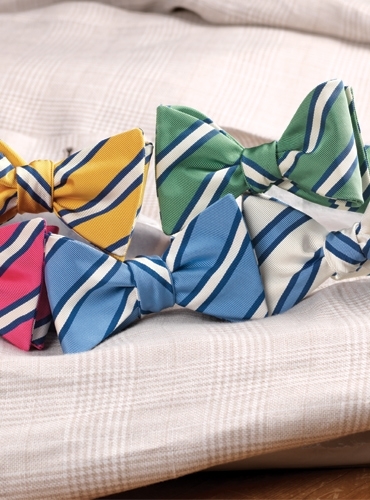 Also available in: A-fuchsia; B-lemon; C-cornflower; E-white. 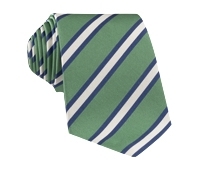 Also available as a necktie, W252.